Across industries as diverse as transportation, manufacturing, first-responders, and virtually every other sector of work, fatigue represents one of the most costly and persistent issues for organizations of all sizes. 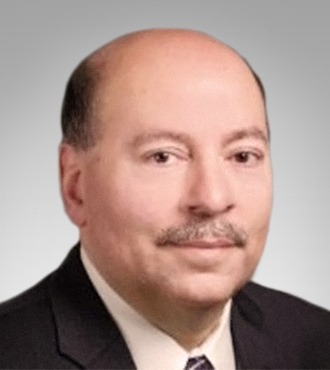 However, it’s an even more prevalent challenge in the healthcare industry where mistakes and lapses from fatigue aren’t just expensive and disruptive – they can be downright dangerous to both providers and their patients. From the ten-thousand-foot view, the effects of fatigue in American workplaces are staggering. Up to 38 percent of the working population doesn’t get the seven to eight hours of sleep recommended for adults, including about 20 percent of individuals who suffer from a sleep disorder that impairs their ability to achieve consistent levels of restful sleep. Financially, fatigue can be incredibly damaging for organizations – costs related to fatigue surpass $77 billion per year across the United States, and lost productivity alone runs employers something like $2,000 per worker per year. With the constant evolution of the healthcare market and rising needs to cut costs everywhere, these fatigue expenses are unsustainable even before you account for physical risks to patients. Workers in the healthcare industry are particularly vulnerable to fatigue, due to the nature of their work and the long hours frequently demanded of them. A recent study by Stanford University reported that many physician residents work more than 80 hours per week, often reaching between 100 and 120 hours during busy weeks. A typical on-call shift can last between 24 and 26 hours, a stretch of time when sleep is rare and often interrupted by urgent calls to action. Likewise, nurses report that they often work up to three or more consecutive 12-hour shifts, during which time they get an average of only 5.2 hours of sleep. The reality of being a medical professional, especially in hospital or skilled nursing facility settings, is one of long hours, consecutive 12-hour shifts, and irregular sleep patterns. This is especially disturbing when you consider the facts around fatigue’s physical effects on the human body. Research indicates that being awake for more than 17 hours at a stretch is equivalent to having a blood alcohol level of 0.05, while staying awake for 24 hours at a time equates to a BAC of 0.10, well past the legal limit for driving in the United States. Fatigue impairs motor skills and hinders good judgement; it disrupts emotional responses and decreases the body’s ability to fight illness. Fatigue, when left unchecked, can also lead to other more serious health problems such as hypertension and organ failure. To the casual observer, it seems obvious the healthcare sector should be the last area where fatigue presents itself. Patients want to know that their providers are functioning at their best. Unfortunately, evidence suggests that fatigue is causing problems across the healthcare industry. 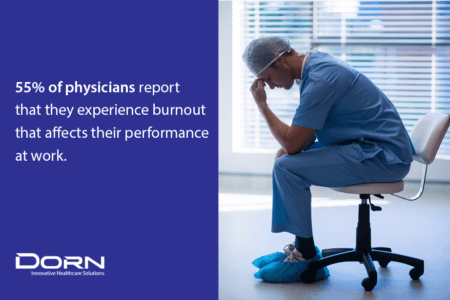 About 100,000 to 200,000 medical errors occur each year, and as many as 55 percent of physicians report that they experience burnout that affects their performance at work. Fatigue causes emotional exhaustion that can lead to mistakes, which themselves can change lives and lead to serious medical harm. So what’s to be done about this pervasive, potentially harmful problem? Healthcare providers everywhere are searching for solutions. For their part, the American Academy of Nursing recently released a statement aiming to address the fatigue problem, noting how overnight work, irregular shifts, and consecutive periods of wakefulness disrupt natural sleep patterns (called circadian rhythms) and lead to chronic and acute fatigue among nurses. But fatigue isn’t a random issue or an accident. It’s the result of systematic patterns created at the management level, and that’s where fatigue prevention must originate. Fatigue risk management systems have become the standard for both addressing the effects of fatigue as they occur and preventing it from arising in the first place. These plans address the fatigue problem at all levels of the organization, and include strategies such as altering shift schedules to better fit natural sleep patterns and creating performance benchmarks that can help alert management to fatigue among workers. Even in the healthcare industry, workers should be educated on how fatigue affects their performance, and how proper sleep hygiene can lead to more restful sleep and more consistent energy levels throughout the work day. Likewise, an understanding of the workplace and its many stressors can be a useful tool in mitigating the fatigue risk. Many organizations have implemented ergonomic reviews to evaluate the work environment for risk factors that could lead to fatigue, such as poor workstation design and improper task execution. Technology has also stepped in to help alleviate the issue, as more and more employers are implementing solutions such as artificial intelligence programs that can monitor workers for fatigue and wearables that alert workers and supervisors to fatigue indicators. Since most states require training for safe patient handling, many institutions focus on the compliance factor. 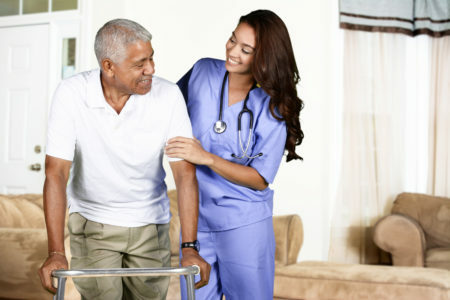 However, skilled nursing facilities and hospitals should also focus on teaching proper body mechanics and utilizing lift equipment, both of which can reduce stress and physical exertion while mitigating the risk factors for common injuries. Ultimately, fatigue is a layered issue that must be tackled from all angles. However, the most important factor in fatigue prevention will always be sleep itself. Whether through schedule adjustments or education, workers should be provided with ample opportunity to get restful sleep, even when they’re on call in the hospital setting. When the lives of patients are affected by overworked and unrested providers, it’s time to reevaluate healthcare and ensure that our healthcare professionals can perform at their best. Ready to learn more about fatigue? Download DORN’s white paper on the causes, effects, and management strategies around the fatigue problem.